If you are an employee concerned that you or your company may have been targeted by a union, you can act without letting anyone in your company know who you are. You can submit your employer's information on the form below and we will contact your employer for you. Your anonymity is GUARANTEED. While certain fields are required on the form below, others are optional, but all of your personal information will be kept in the strictest confidence. By using the form below, you agree that the information provided is true and correct (to the best of your knowledge) and that you are not submitting information that is fraudulent or submitting information for malicious reasons. * The information marked with an asterisk (*) is necessary for verification purposes only. Before any employer is contacted, the information regarding the employer (i.e., company name, address, etc) must be verifiable. 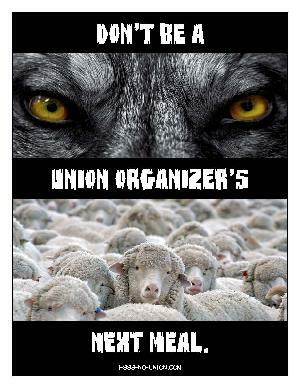 * Do you know which union is targeting you? If so, which one?